Like anybody else who is a fan of mainstream comic books I love a good crossover event. Crisis on Infinite Earths, the original Secret Wars, House of M, Zero Hour; these are all fantastic story lines that have helped to further both franchises. 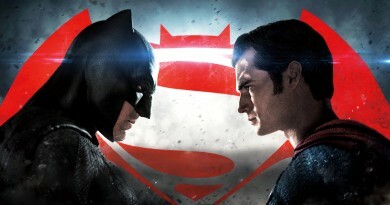 But what seems to be happening, especially in the last decade or so, is that each of the franchises is having a company wide crossover every year, and it seems like each time DC has a huge franchise changing event, Marvel has to come out with a huge franchise changing event right after it or vice versa. Probably the best crossover event in DC’s history. Generally speaking, competition is good for both brands. DC pushes Marvel to write better storylines, as does Marvel, in order to keep their readership up. Which is fine, until you read some of the storylines that are being turned out by both franchises these days. Let’s take a look at the history of both companies. Marvel and DC both were formed as a conglomeration of multiple companies over time. By the time both companies were formed each had a muddled continuity which was dealt with in different ways. 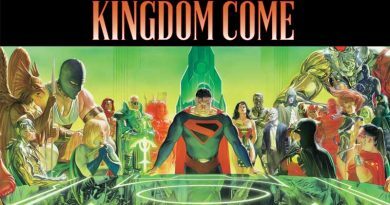 DC decided to create a multiverse wherein the then current universe was labelled Earth 1, the golden age counterpart (containing the Superman of the 1930’s to 1950’s, Batman of the same time, the original Green Lantern, etc.) was labelled Earth 2. There were other Earths as well, and over time this multiverse became very complicated and riddled with continuity errors. By the 1980’s DC had decided to do something about it. In an attempt to remove this complication, decided to merge all universes into one in 1985. The storyline behind it was labelled Crisis on Infinite Earths. Originally conceived of as a 50th anniversary event, it later turned into a way to clean up DC’s muddled continuity. It saw several heroes die and all of the multiple universes smashed together into one single unified Earth. Marvel also had a company wide event about a year earlier. Secret Wars saw many of Earth’s greatest heroes and villains across the franchise (a few X-Men, a few Avengers, Spiderman, The Fantastic Four) battle it out for the pleasure of a shapeless, all powerful alien reminiscent of about 6 episodes of Star Trek. The whole thing came about, and this is true I’m not making this up, a marketing stunt to sell action figures. As a side note, both companies had been producing company wide crossovers before this. Probably the best one of the Silver Age era crossovers was Marvel’s Kree-Skrull War in 1972 (technically the Bronze Age but the timeline is a bit muddled). However, Crisis and Secret Wars are the two that really started it off. Secret Wars was hardly groundbreaking, and the only lasting change from it was Spider-Man’s new black suit. 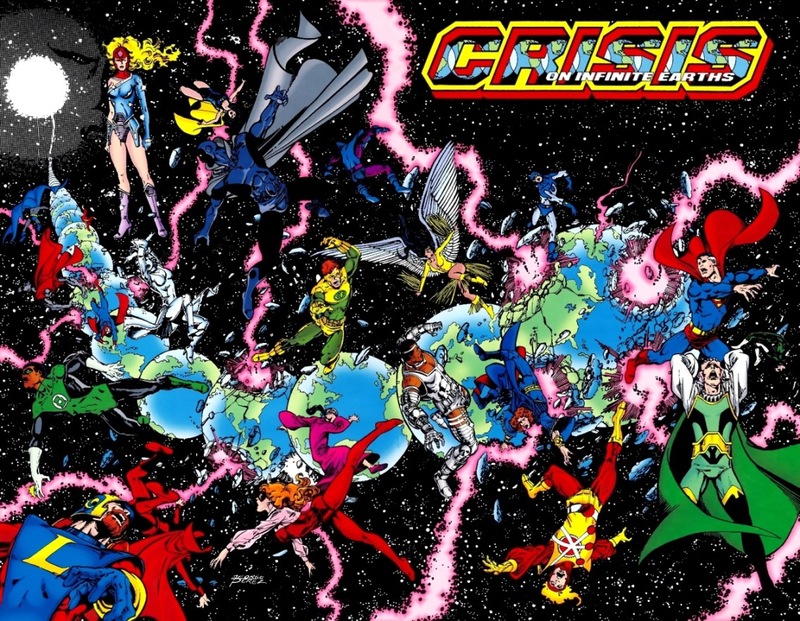 Crisis on Infinite Earths, on the other hand, changed the very landscape of the DC universe. 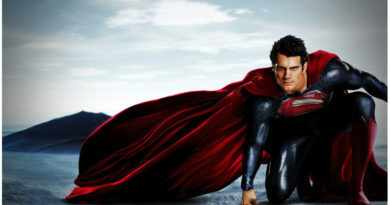 Entire realities died, multiple Supermen were killed. While DC’s first major crossover event served a purpose to essentially rewrite the DC franchise, Marvel’s was nothing more than a stunt to boost action figure sales. Not every crossover from Marvel and DC is groundbreaking. In fact some appear to have been published just for the sake of having to publish a huge blockbuster event because, well, the competition is going to. And that, my friends, is my entire complaint. A company wide event should be published because the authors have a fantastic story to tell, or to create a drastic change to a character’s or a universe’s status quo. What shouldn’t be happening is this need to create a thrilling crossover event every summer just to beat the competition because, sadly, not all of them are great. DC’s soft reboot after Flashpoint left a bad taste in my mouth. We’d seen the Flashpoint universe when House of M came around and frankly, I liked House of M better. Secret Invasion left me utterly bored. Final Crisis ended up being anything but. And of course, Secret Wars (1984) was an interesting, but utterly pointless crossover. This season we have something different. Both DC and Marvel are giving us company wide crossovers that are both eerily similar and could possibly represent a universe wide re-write. Usually if DC or Marvel is going to copy from each other they do it a few years apart: Original Sin seems to be a copy of Identity Crisis, Flashpoint has been done before in House of M and so on. Secret Wars (2015) follows basically the same plot as its 1984 predecessor with one major difference: the entire Marvel Multiverse is being broken apart and merged into one Battleworld. The Ultimate world, Earth 616 world, the House of M world will all be smashed together. And we don’t know which, if any reality will survive, or if a new reality will emerge as a result. As I’ve written earlier this could be Marvel’s Flashpoint or Crisis on Infinite Earths. 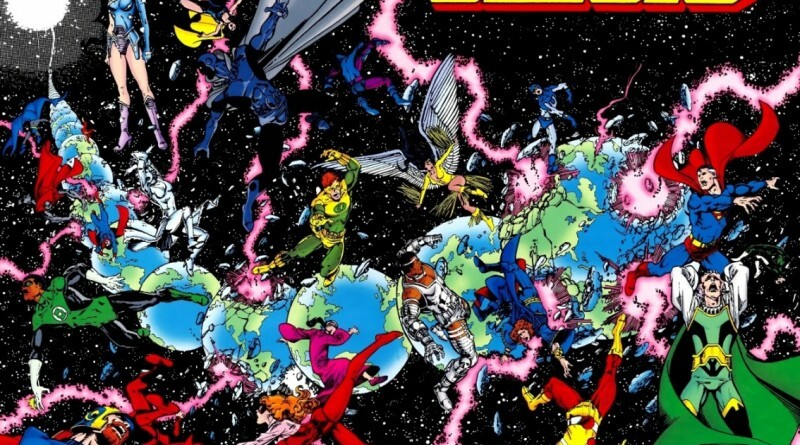 Similarly DC’s Convergence will pit different realities against each other: Flashpoint characters will face off against Earth 1 characters on one huge planet… Hmmm, sounds familiar. Marvel and DC are presenting us with what appears to be the same storyline in an obvious grab for more readers. Now, I don’t know which is the copy and which is the original (both stories have been in development for some time), but I suspect that DC is emulating Marvel in this instance. I hope that Marvel will be brave and follow up Secret Wars with a hard reboot. DC’s Flashpoint almost did that, and with any luck DC’s Secret W– I mean Convergence will fix the error Flashpoint made and finally give us a hard reboot of all of DC’s characters. It won’t, unfortunately. DC isn’t brave enough. Marvel probably isn’t brave enough either… but we’ll see. But if these crossovers aren’t going to give us a massive change in their respective franchises then it begs the question: what’s the point? Here’s a Timeline of Marvel and DC’s company wide crossovers. I’m ignoring crossovers that focused primarily on a single hero and involved other heroes as supporting characters (such as The Death of Superman and Knightfall).